YEP! You read that correctly! 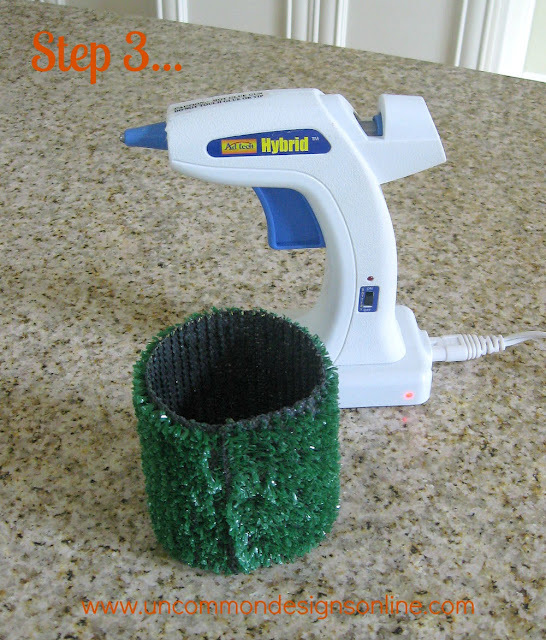 Today I am going to show you how to create these incredibly cute Astro Turf Tailgating Coozies to get your next tailgating party off to a great start! Trish and I absolutely LOVE college football…crisp air, bands, cheering, fall colors, great food, and friends! We both attended the same college and both of our husbands did as well! It is a true family tradition! This is the first in a series of posts I will have for you, to help you throw a fabulous tailgating party. Let’s get started! 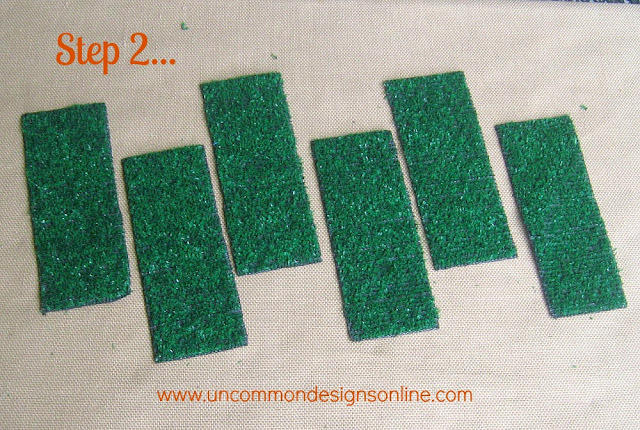 Cut out each rectangle from the Astro Turf. If desired you can heat seal the four sides to prevent the Astro Turf from shedding. Apply a thin line of hot glue to the edge of one of the 3 1/2 inch sides. Then fold the Astro Turf around to meet the other 3 1/2 inch side and press together with the hot glue. I overlapped mine about 1/4 of an inch. Do you see an “orange” theme going on here? We are huge Clemson fans! I put orange sodas in the Astro Turf coozies and placed them in these DIY Vintage Crates that I made. I finished off the display with a simple, burlap bunting embellished with painted tiger paws! Perfect! 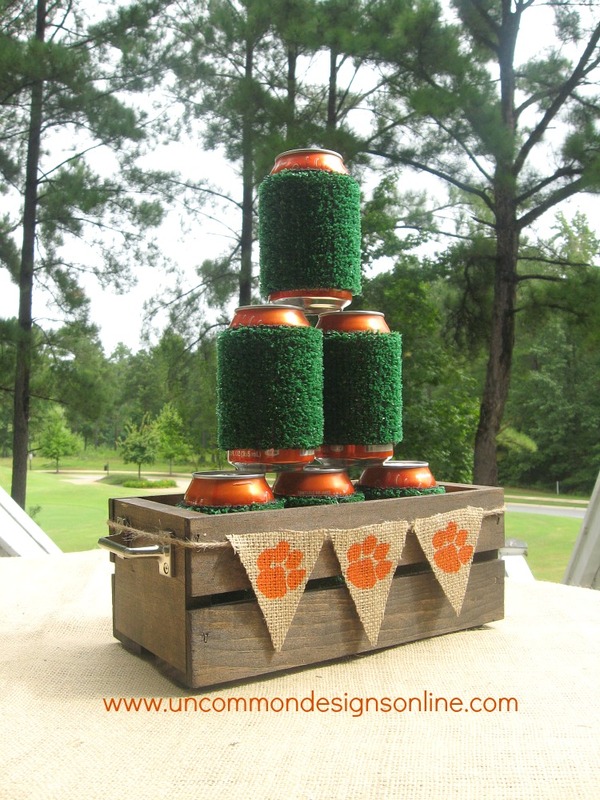 Stop by next week and to see some of our other tailgating ideas for the football season! Those are awesome! Your display looks so cute!! You should totally do it!! My kids thought they were hysterical!! 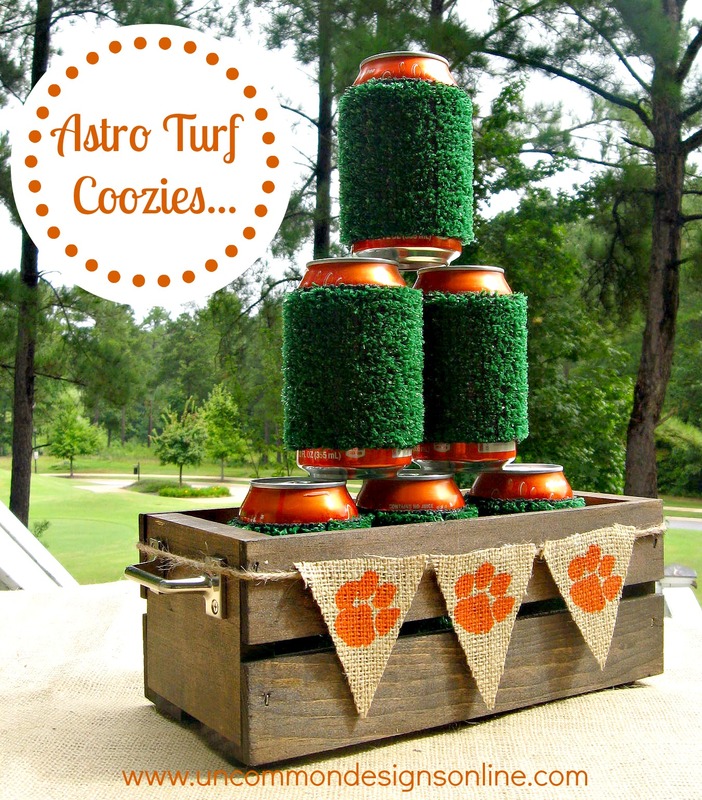 Those are so stinkin’ fun … so perfect for a tailgating party! I’m pinning! They do make me giggle!! Thanks!! How amazing are these… seriously?!?! Love it! This is an adorable idea!! I’m going to have to pin this for DIY ideas for football season. So easy too! simple easy quick and cheap!! perfecto!! How cute are these? I am so making these for first tailgate next weekend. Go Big Blue! SEC, right? Awesome, ladies. I thought I loved you guys before, but I was wrong. You had me at Go Tigers! 🙂 C-L-E-M-S-O-N! Oh it’s funny because we just installed turf in our yard so this post caught my attention! Of course, the turf we used was slightly different because it’s make to look identical to regular grass, but this is an awesome idea that I think I might redo for our “New Yard” celebration! Our yard and our beverages will always be green! Haha! Would be the perfect “accent” to your party!! 🙂 Thanks so much! I LOVE this!!!!! I am SOOOO featuring you guys sometime next week on my blog! I am doing a football tailgating round up!!! Thanks for the inspiration!!! Such a CUTE idea, gals! A craft that even the guys would appreciate! What a fun idea! My parents tailgate a lot so maybe I’ll make a few as Christmas gifts. Thanks for sharing at The Fun In Functional! These are a hoot! I don’t know why…but Astro Turf always makes me giggle. ha! 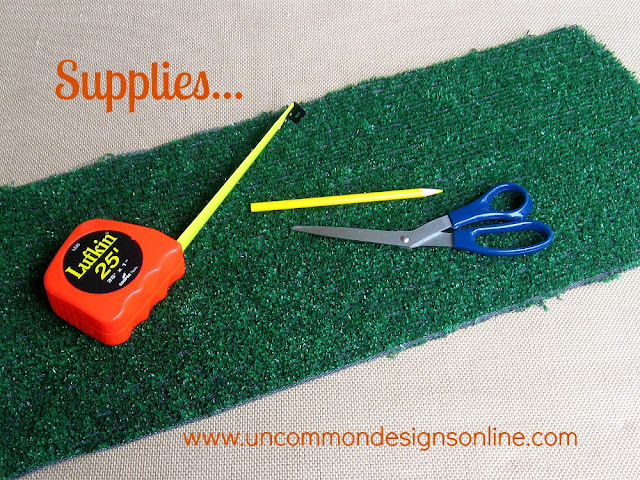 I saw your link and had to click over to see what you were doing with astro turf! These are really clever. I was going to ask where you bought astro turf, but I see in the comments that you got it from Lowe’s. Leo just put up a post about his football mantel. Come over to see it! Ah…saw that on pinterest Jane!! I will hop on over! 🙂 Thanks!! Those are cute….but I love the Tiger Paw banner. Will have to steal that idea…. Go Tigers! Those are so cute! Such a great idea. They would be cute too if you painted white lines like on the football field on them. Thank you!! 🙂 happy Friday!! What a cute idea. We are Big Ten people in this house, so I might have to add some Boilers to ours. Thanks for sharing. p.s: just in case it doesn’t open link it up at Debbie’s blog. I know what my Dad is getting for his birthday! Too much fun! Oh I just love this. What a fun tailgating idea!! I’m hoping to at least tailgate once this year!! Go Tigers! We are family of Clemson fans and my husband went there, as did my daughter’s BF. In fact, they are going to the first game in Atlanta today. 🙂 This looks like a fun project and since they tailgate all the home games, one that would be a great addition to their celebrating. Lets go Tigers!!!! I’m a Clemson alum myself! 🙂 Great project! Those are totally cute! I also love the banner. Not a Clemson fan, but I really enjoyed seeing them beat Auburn! Pinning this! haha! These are too cute : ) I might need these now that I’m in Packer’s land! These are too stinkin’ cute, girls!! Tailgating for the UGA game this weekend (Go Dawgs!) so I may have to whip these up for the occasion! Thanks for sharing! LOVE this! 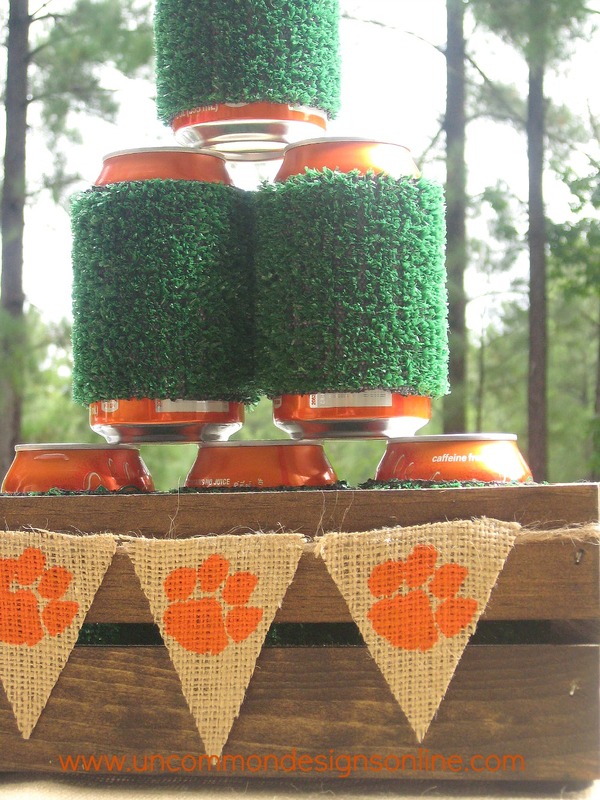 I’m making these for our Auburn tailgates…even the tiger print bunting! 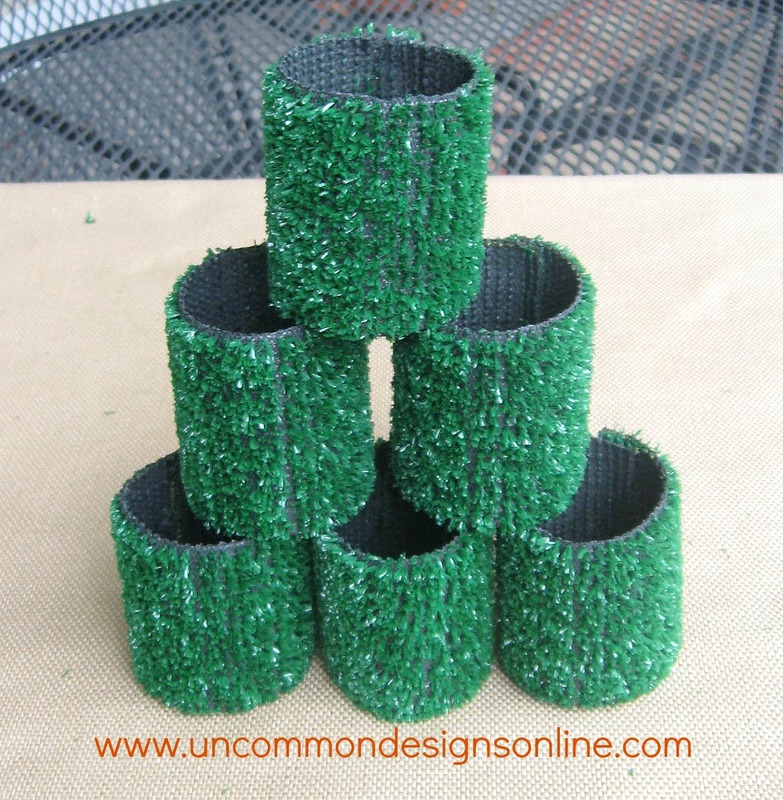 Do you remember where you purchased the astro turf for the coozies? 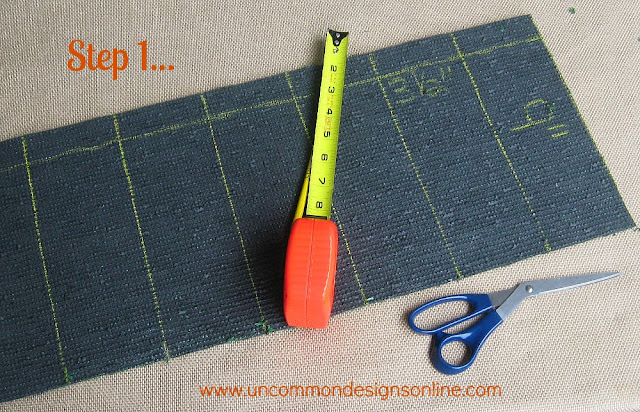 I am having difficulty finding the perfect material!